Koji Kaneko born in Yokohama in 1956. Graduated from Keio University with a degree in German Literature. Started as an announcer with the Tokyo office of FEBC (Far East Broadcasting Company), followed by a transfer to FEBC’s San Francisco office as the program director for shortwave broadcasting to Japan. 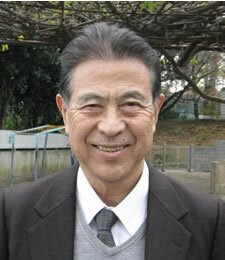 Returned to Japan in 1987 and founded and served as director of the ABLE Language Study Center. In 1994 assisted in the founding of Focus on the Family, Japan. Currently, as an associate director, he gives seminars on child rearing, family life and family-related issues. He also produces FFJ’s radio program. In 2006-2007 served as English Instructor at Senzoku Girls’ School. Is the father of two boys and one girl. His hobbies include skiing, camping, guitar, song writer, and playing with his kids. Jon Benedict was born and raised in Japan and attended Christian International College and served with Youth With A Mission for 20 Years in Japan. He joined Family Forum Japan in 1996 and currently serves as one of the assistant directors. Jon is involved in the wedding ministry in Nagano, teaches at Seisen Women's Junior College, and speaks on marriage, parenting and abstinence education. Jon enjoys cooking and light carpentry and he and his wife Becky have ten children and one grandchild (so far).